I am the academic coordinator for the MSc in Biodiversity and Land Use Planning, based in the Applied Ecology Unit, and the MSc in Environmental Leadership based in the Ryan Institute. I am also a postdoctoral researcher with the EPA funded Sheer Wellbeing Project and NEAR Health, an EPA/HSE funded project. I lead on the workpackage which asks stakeholders about their values, perceptions, motivations, and barriers to using nature for health and wellbeing. I have extensive experience in researching Irish ecosystems with an emphasis on their conservation management. A particular focus of my work is stakeholder engagement in this process. My main areas of interest are habitat and landscape conservation management with particular focus on coastal dune systems and machairs. I am particularly interested in the management of human use of these areas. I graduated from NUI Galway in 2001 with a BSc in Environmental Science. I then completed a Masters in Ecosystem Conservation and Landscape Management at UCC in 2003. This was followed by voluntary work with the Wildlife Conservation Society in Maroansetra, Madagascar, following which I returned to NUIG for a PhD. In 2011 I completed my thesis Impacts of tourism activity on coastal dune systems, sponsored by IRCSET through the Embark Initiative. The aim of this study was to assess human impacts on coastal conservation areas with particular emphasis on recreation activities and site management. Focus of the study was to assess the opinions of all stakeholders, who are involved in site management or who are land users, using Q-methodology. My main area of interest is the interrelationship between the environment, its conservation, and human use. My current research looks at the interconnectedness of human and environmental health, which uses a crosscutting approach to assess values, perceptions, motivations and barriers to using nature for health and wellbeing. The Nature and Environment to Attain and Restore Health (NEAR Health) project combines multidisciplinary expertise to engage communities in the natural environment to benefit their health and wellbeing. 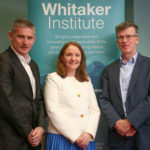 Health professionals, ecologists and marketing, innovation and social policy specialists have come together to develop a framework for integrating health promotion and environmental awareness in Ireland. The main objective of the NEAR Health project is to apply a combination of tools to appraise values, motivations and barriers of stakeholders to engage with their environment throughout their lifecourse. The team will collaborate with policymakers, practitioners and communities and other stakeholders to explore the types and qualities of public spaces that can be used in the design and implementation of inclusive nature-based solutions to assist communities to attain, maintain and restore health, while also encouraging sustainable use and conservation of the environment. Previous research assessed the management of recreational activities with in coastal SACs containing such dune systems and to establish how SACs can be managed for conservation while allowing for other activities such as recreation to take place. This involved assessing the direct impacts of recreation on the habitats in coastal conservation areas, recording and comparing the current ground level management practices and stakeholders opinions on the current situation, with the aim to compile a list of good practice management methods for use in other sites. (2011) Protected coastal dune systems: Recreational impacts and users perceptions regarding nature conservation with specific reference to machair. I Coordinate and teach on the MSc in Biodiversity and Land Use Planning. since 2011/12 Ecological Survey Techniques EV514 The objective of this course is to introduce students to a variety of fieldwork techniques used for ecological surveys. Survey methodologies include plant surveys using frame and pin quadrats, animal surveys using small mammal traps and stream / river surveys with reference to macroinvertebrate sampling and associated physical parameters. since 2011/12 Habitat Identification and Assessment EV527 This module explores what a habitat is and the factors that influence habitat assessments. Specific reference will be made to habitat requirements, attributes & properties, monitoring issues (such as establishing a baseline, recruitment & mortality) and conservation evaluation criteria etc. Emphasis will be placed on understanding the connections between these requirements with a view to producing an overall habitat assessment procedure. since 2011/12 Habitat Management and Restoration EV528 This module outlines what habitat management is and why it is necessary. Philosophical approaches to habitat management, creation and restoration are explored. Principles of habitat management are summarised in relation to the objectives of any management technique, with special reference to management for a number of different taxa including; i.e. plants, fungi, lichens, invertebrates and vertebrates, etc. since 2011/12 Ecosystem Sciences EV507 This module explores how the ecosystem can be assessed from a number of different perspectives including; i.e. geology, hydrology, soils, biodiversity, etc. Emphasis will be placed on understanding the connections between these parameters with a view to producing an overall integrated ecosystem assessment procedure.